Pearl Harbor, Hawaii (MPG) - One hundred twenty-five youth members of the Young Marines from 25 separate units throughout the United States traveled to Hawaii to participate in the 77th anniversary Pearl Harbor Day Remembrance. 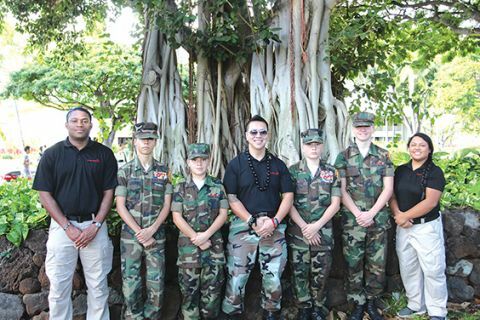 Four youth members of the Sacramento Young Marines in Carmichael were part of a wreath laying ceremony in Pearl Harbor on December 6, and they marched in the Pearl Harbor Memorial Parade on December 7. The Sacramento Young Marines joined 125 Young Marines from across the country for Pearl Harbor Remembrances. The Young Marines along with the leadership of the American Legion, Marine Corps League Hawaii, and Vietnam Veterans of America Hawaii, performed a wreath laying ceremony at the National Memorial Cemetery of the Pacific, the Punchbowl, in memory of all the brave men and women who are interred there. A significant honor for the Young Marines was leading the Pearl Harbor Memorial Parade in Honolulu. They carried the banners of the 12 capital ships that were attacked. The parade’s objective was to honor the heroes and survivors of Pearl Harbor and World War II, to pay tribute to veterans, active duty military members and military families, to celebrate freedom and to keep in remembrance the heinous events of Dec. 7, 1941. In addition, the Young Marines cleaned-up three beaches, Ft. Hase Beach, North Beach, and Pyramid Rock Beach, at Marine Corps Base Hawaii. Young Marines units raised funds at their local level to supplement the costs of traveling to Hawaii to attend the remembrance ceremonies. Young Marines used their creativity, and applied the program’s core values - leadership, teamwork and discipline - to implement unique and effective fundraising efforts. Since the Young Marines' humble beginnings in 1959 with one unit and a handful of boys, the organization has grown to 270 units with 9,000 youth and 2,600 adult volunteers in 40 states, the District of Columbia, Japan, and affiliates in other countries. Rancho Cordova’s 11th Annual Veterans Day Ceremony will be held on Friday, November 11 to remember our veterans and honor the missions of the U.S. Naval Construction Forces (Seabees). Did you serve in the U.S. Naval Construction Forces? You are cordially invited to Rancho Cordova’s Veterans Day Ceremony to be recognized for your service. The Seabees first became active on March 5, 1942 during World Water II when U.S. involvement was expected on both the Pacific and Atlantic Oceans. 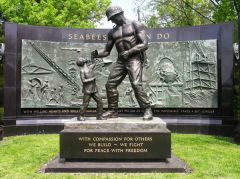 More than 100,000 Seabees were trained during World War II and have continued to serve since. The Seabees now include 7,000 active personnel and 6,927 reserve personnel. Ceremony speakers will include Congressman Ami Bera; Senator Jim Nielsen; Assemblyman Ken Cooley; Kathryn K. Bucher, Associate Director of Patient Care Services/Nurse Executive at VA Northern California Healthcare System; Rancho Cordova Mayor David Sander; and Rancho Cordova Council Member Robert J. McGarvey, who spearheaded the first Veterans Day and Memorial Day events in Rancho Cordova. The Vultures Row Aviation Team will provide a flyover towards the end of the ceremony. The ceremony is sponsored by the City of Rancho Cordova, the Department of Veterans Affairs Northern California Health Care System, AlphaGraphics Rancho Cordova, and Republic Services. Rancho Cordova City Hall will be closed on Friday, November 11 in observance of Veterans Day. For more information about the event, please call (916) 851-8700. (BPT) - Most people can’t imagine being terrified by the sound of a fork falling and hitting the ground. They don’t understand how someone cannot sleep because the fear of recurring nightmares keeps them awake. They’ve never experienced anxiety that turns everyday tasks into impossible chores. But for thousands of American veterans, these are just a few symptoms that can make their lives unbearable. And while millions are aware of the condition they suffer from - post-traumatic stress or PTS - few are able to grasp the severity of the condition, and medical science is a long way from understanding the neurological causes of PTS. In the news, stories of PTS tend to focus on bureaucratic mishandling, ineffective medications that have severe side effects and the general tragedy of those who are afflicted. However, there is also a side of the story that has to do with hope, strength and love. 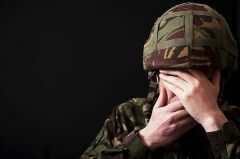 While a single cure has not yet been discovered for PTS, there are many instances of veterans finding peace and a path to recovery through some non-conventional - and often controversial - means. The greatest challenge for many who suffer from PTS is to rebuild relationships with other people. Many have found that a powerful way to lessen the anger and hypersensitivity that often prevents them from enjoying normal relationships is through caring for horses. Grooming, feeding, cleaning the pen and riding the animals helps those who suffer from PTS to return to the trusting and nurturing emotions they learned to suppress due to the stress of combat. This ancient Chinese practice of pushing pins into specific points on a patient’s body has gained widespread acceptance for a variety of medical and psychological purposes. The idea behind the practice is to heal and restore balance between various systems of the body. Though there is no conclusive evidence that acupuncture can help in all situations, several studies and many veterans report long term benefits in recovering mental stability. This treatment involves a patient entering a pressurized oxygen chamber for about 90 minutes, during which time they can read, watch TV or even take a nap. The theory is by increasing the oxygen levels in the body’s tissues and red blood cells, it will speed the body's natural healing capabilities and repair neurological damage. Though the treatment is still experimental, many have claimed this treatment is a miracle, and several studies have confirmed its benefits. The Purple Heart Foundation has invested money to make this therapy more readily available to veterans. Perhaps the most controversial therapy on the list, there is a fine line between PTS patients being treated with marijuana and abusing marijuana. Nonetheless, as veterans returned from Iraq and Afghanistan, more tales of the benefits of medical marijuana began to emerge, leading many advocates in both state and federal governments to push for more research and availability. Meditation comes in many different forms, but the idea is the same: to create a quiet space in your mind through focusing on something as simple as your breath. Achieving the deep level of relaxation allows many veterans to begin to sort out their traumatic experiences. By no means is it a cure, but results from countless veterans and studies show meditation to be an important part of the healing process. Because PTS is such a complicated condition that arises from experiences that are unique to each veteran, there may be no such thing as a one-size-fits-all cure. What this means is that each person needs to be treated as an individual, and have a range of treatment options available. The Purple Heart Foundation is dedicated to doing just that. Through investing in research for therapies such as bariatric oxygen treatment, as well as supporting state-of-the-art programs like the National Intrepid Center of Excellence at Fort Hood, the organization is helping veterans live a full and rich life in the country they fought for. To learn more about how your donation to the Purple Heart Foundation can help veterans with PTS, visit www.purpleheartfoundation.org.